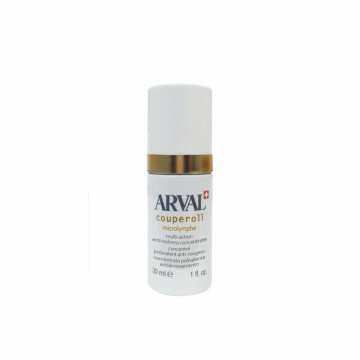 Concentrated anti-couperose treatment with a rich and effective formula, creates an immediate soothing anti-reddening effect, helps correct and fight facial reddening and the blemishes connected wit..
Sunscreen cream providing maximum protection for reactive couperose skins, assisting a safe, gradual tan. A soft, nourishing emulsion that creates a moisturising protective barrier as soon as it is ..
A soft aftersun cream to soothe soreness and redness. 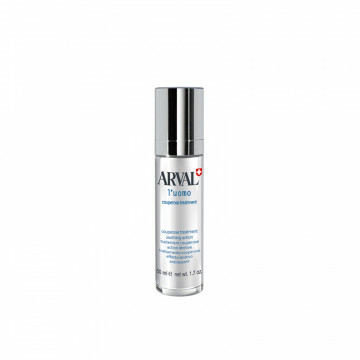 Enriched with important phytoelements (bisabolol and glycyrrhetinic acid), has a powerful soothing and calming action, to help reduce and reliev..
Delicate and fast absorption concentrared emulsion. Actions And Effects A multi-functional speciality that is rich in specific plant extracts, controls and attenuates the most ..